We just finished filming our 1st video this week and we'll launch it as soon as th edits are done for our tune "Melt The Moon". Our good fortune was working with an excellent videographer & director, David Oleniacz from Pittsburgh. He has filmed most every band in and around Pittsburgh region and his work speaks for itself - so we are looking forward to a really fun video. We will certainly post "Melt The Moon" here for you. Our 9 song album, "Pittsburgh People N@" was released and includes the 3 songs here on N1M: "Skydive", "Santa Fe" & a redo of "Wal-Mart". 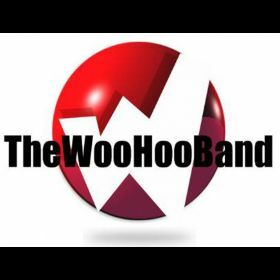 It is available at CD Baby, iTunes, Google Music and other sites around the globe and many of the links are on the home page of our website: www.thewoohooband.com - so check us out there and keep in touch with us too. At the moment, we are writing new tunes for a follow up EP to be released by summer. We think you'll be pleased with what we've been up to lately. Booking shows - constantly - so if you want us to come & play in your town - email us who, what, where & when to: woohoocrew@yahoo.com and we will try to set up a tour to your area. We appreciate YOU and hope to hear your comments and feedback - the good, bad & ugly - it's all wonderful and very helpful. See you soon.......WOO HOO !!! Mark, Tim, Dana, Steve, Joe M. & Joe O. The Woo Hoo Band is the blending of 5 very talented musicians from different musical backgrounds, coming together from different parts of the Pittsburgh region with the same goal - to play quality music with other professional musicians in order to create a fun, dancing atmosphere for an appreciative audience.